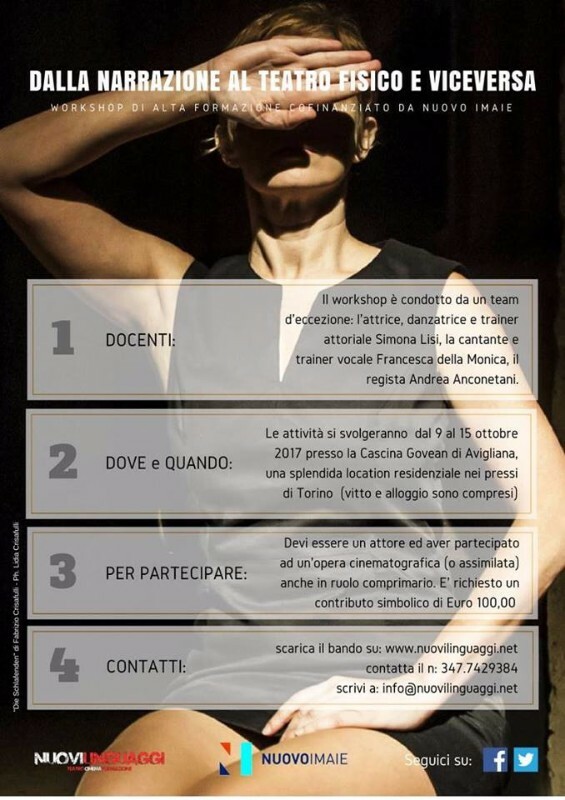 Two places are still available for the workshop “FROM NARRATION TO THE PHYSICAL THEATRE AND VICEVERSA” to be held in Alpignano (TO) in the period 9-15 October 2017. The workshop will be held in Italian language, but we will help participants from abroad. Meals and accommodation are completely free of charge for for the selected participants. Only a symbolic entry fee of € 100,00 must be paid. The first two candidate will be accepted in chronological order of sending the registration form. Attached is the Call and the application forms.